Mosquito control can be a profitable service add-on. 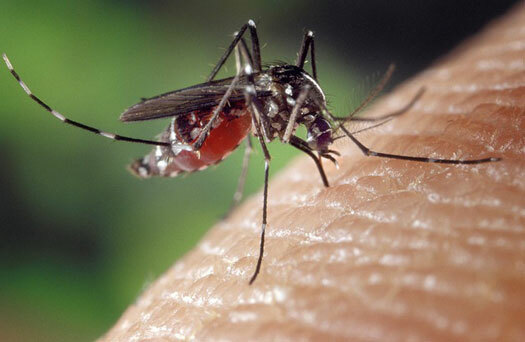 Everyone agrees mosquitoes are an annoying and potentially dangerous pest in the summer months. That would seem to present a big business opportunity for anyone in the business of getting rid of mosquitoes. Lawn and landscape companies that have begun offering mosquito control services are taking advantage of that broad-based demand. Not only can mosquitoes carry diseases that afflict humans, but they also can transmit several diseases and parasites that dogs and horses are very susceptible to. These include dog heart worms, eastern equine encephalitis and West Nile virus. There are about 200 different species of mosquitoes in the United States, which live in specific habitats, exhibit unique behaviors and bite different types of animals. Different species of mosquitoes prefer different types of standing water in which to lay their eggs. The presence of beneficial predators such as fish and dragonfly nymphs in permanent ponds, lakes and streams help keep these bodies of water relatively free of mosquito larvae. However, portions of marshes, swamps, clogged ditches and temporary pools and puddles are all prolific mosquito breeding sites. 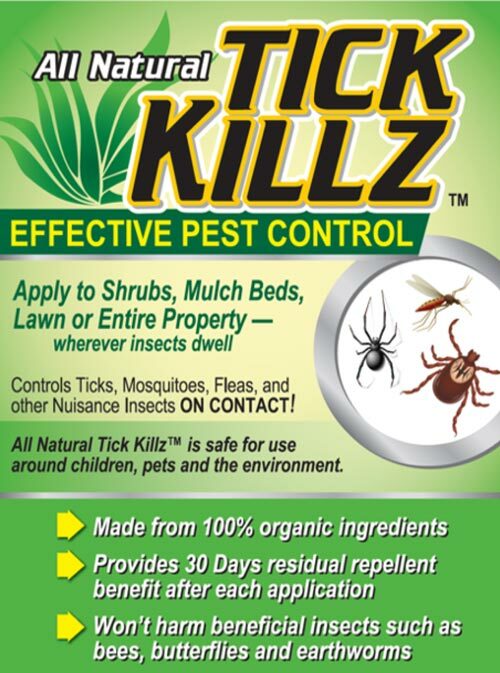 Get excellent micro-encapsulated residual control (up to 60 days) for over 30 insect pests including mosquitoes . Equil Lambda features EnduraCap technology which protects the active ingredient in even the toughest environments, allowing Lambda 9.7 to continue killing pests long after you've sprayed. Plus, the advanced EnduraCap technology protects the active ingredient from heat and harsh UV rays when sprayed outdoors. Equil Lambda 9.7 CS can be used indoors and outdoors in and around buildings and structures and on lawns, ornamental trees, and landscaped areas. 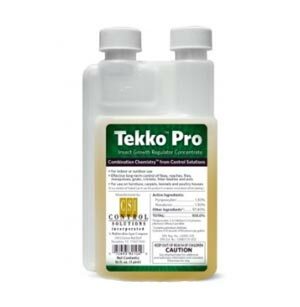 Tekko Pro Insect Growth Regulator makes controlling the insect population on your property simple. It uses its two active ingredients: pyriproxyfen and novaluron, to stop the juvenile pests from growing into adults. By disrupting the life cycle of the insects by keeping the juveniles from growing into adults, this gives a long term solution to pest control problems. 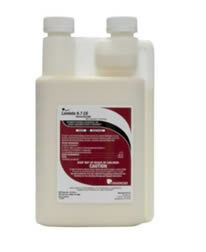 Tekko Pro Insect Growth Regulator works for up to 7 months after application. Save on water trucks and labor too! The Tree Diaper can absorb rain water and keep weeds at bay at the same time. The top layer of the Tree Diaper is a weed barrier and the bottom layer of the Tree Diaper is a pre-consumer recycled diaper material that is water permissible. Inside the Tree Diaper is where the magic happens! There are super absorbing pellets that can hold 500x its weight in water when conditions are dry they release moisture. When it rains the Tree Diapers absorbs building up water for the next dry season. 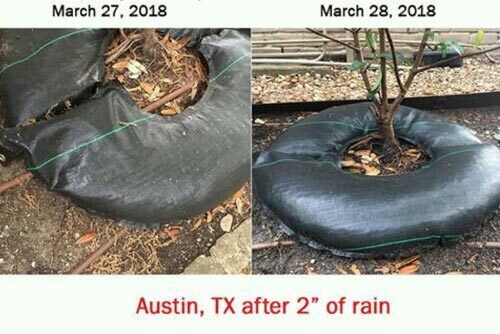 The Tree Diaper can recharge with rainwater and will maintain moisture levels for 30 days with no rain. The Tree Diaper is good for 3-5 years and can be reused. Congratulations to Jason P. the winner of name that seed. LIFE JACKET is the name of our new coated seed. Thanks to everyone who participated. A few of the names where very funny! "Do you struggle with Fear?" Every hand in the audience went up when I asked the question. "Do your negative thoughts come from you?" "Are you sure," I asked? "Who would ever choose to have a negative thought?" Eyes widened, some heads shook and a few people smiled. They were having an Aha moment. I then explained that your negative thoughts don’t come from you. They come from consciousness. They pop in at random times or, for some, more frequently. They are like an unwanted surprise guest that show up at your front door to tell you how weak, unworthy, insignificant and incapable you are. But here's the deal. Like any unwanted surprise guest you decide whether or not to entertain them. A thought’s power only comes from the power you give it. You don’t have to give your negative thoughts power. You can ignore them. You can see them for what they truly are: lies, lies, lies. Always remember that just because you have a negative thought doesn't mean you have to believe it. Fear says you aren't strong enough, good enough, successful enough, wealthy enough, happy enough, smart enough, talented enough. Well, I say enough with fear. Instead, know the truth. You have everything you need inside you to be successful. You weren’t meant to be average. You have a desire to be great because you were created and born to go great things. You have a purpose. There’s a plan for your life. You may be going through a hard time now but the best is yet to come. When fear and negativity pop in your head you can ignore them or speak truth to the lies. That's what I do and I was thrilled to hear that’s what the singer Jewel does as well. I was recently listening to an interview she did on The Finding Mastery Podcast and she said she makes a list of all the lies fear tells. Then she writes down the truth next to the lies. She said it has given her a lot of power and freedom. It can do the same for you. There is a tremendous amount of freedom in knowing that negative thoughts are not coming from you. There's a ton of power in knowing that you don't have to believe the lies. You can know and live the truth and just keep moving forward with belief, optimism, faith and grit. During the Australian Open Championship last year Roger Federer lost the first few games of the 5th and deciding set to Rafael Nadal. Federer said that at the time he thought “It’s probably not going to happen for me tonight.” A thought popped in and then it popped out. He didn't energize it. He just kept playing one point after another and eventually won the set and the match. You can do the same. No matter what thoughts come your way, you have everything you need to accomplish your task. Thoughts will come and go but you just stay in the game and keep moving forward. The truth is that the best is yet to come. Do you believe it?